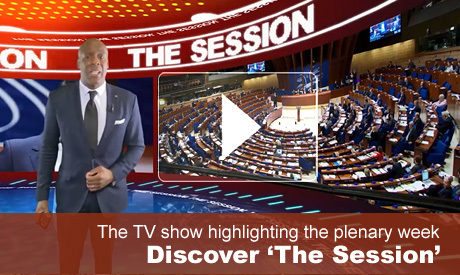 Europe and migration took centre-stage at the Summer plenary part-session of the Council of Europe Parliamentary Assembly (PACE), held in Strasbourg from 26 to 30 June 2017. Four reports were debated on Wednesday 28 June, focusing on the humanitarian and political response to the migration crisis, the human rights implications of the European response to transit migration, migration as an opportunity for European development and the integration of refugees in times of critical pressure. Speakers in the debates included Council of Europe Secretary General Thorbjørn Jagland, Mayor of Athens Giorgos Kaminis, Council of Europe Commissioner for Human Rights Nils Muiznieks, and the Swedish Minister for Justice and Migration Morgan Johansson. The Assembly held, on Thursday, a current affairs debate on "Europe's common fight against terrorism: Successes and failures". Other highlights of the session included debates on recognising and enforcing the principle of accountability in the Parliamentary Assembly, promoting integrity in governance to tackle political corruption and parliamentary scrutiny over corruption. It was also planned to hold debates on the situation in Belarus and political influence over independent media and journalists. Pavel Filip, Prime Minister of the Republic of Moldova, and Duško Markovic, Prime Minister of Montenegro, delivered speeches, and Lubomír Zaorálek, Minister of Foreign Affairs of the Czech Republic, addressed the Assembly's parliamentarians in his capacity as Chairperson of the Committee of Ministers.